Charlottesville, USA, August 2017: White supremacists marche through the city as part of the “Unite the right” rally, chanting racist, anti-muslim and anti-semitic slogans to protest the removal of a confederate statue of General Robert E Lee. A neo-nazi speeds a car into a group of counter protesters and a young woman is killed. Chemnitz, Germany, August 2018: A man is killed by a Syrian refugee, prompting massive anti-immigration protests that are taken over by right-wing extremists. The protests turn into racist, anti-semitic riots and people with immigrant backgrounds are chased through the city. In both the US and Germany, nativism and overt displays of racism are on the rise. Meanwhile, demographic trends and immigration are increasing racial diversity. Today, over 20 percent of Germany’s citizens have a first, second or third generation immigration history. In the US, 40 percent of the population are non-white. In the next decade, the age group of 18 - 27 is expected to become minority white. Are both societies bound for constant flare-ups of racially-motivated conflict, or is there a different vision for the future? 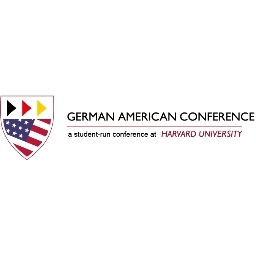 This panel explores the past and present of diversity, nativism, and immigration in the US and Germany. How have the two countries’ individual histories shaped their understanding of national and individual identity? What can we learn from each other? Looking forward, how can we create nations and societies that enable people with their diverse backgrounds to peacefully coexist and ideally enrich other? How effective are current Diversity and Inclusion initiatives contributing to a fairer distribution of power among minority and majority communities?